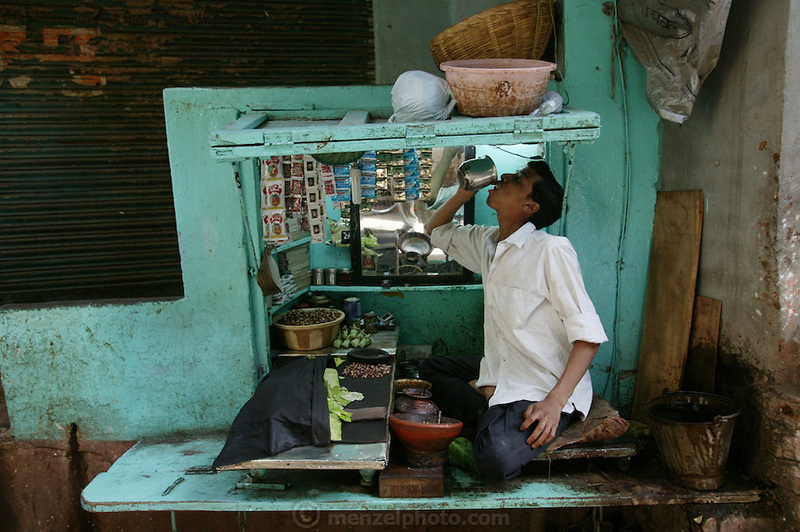 A betel nut vendor takes a drink of water between customers in Varanasi, India. Betel nut is a mildly narcotic seed eaten with lime paste and a green leaf. Over time it decays the teeth and dyes the mouth of the user red. Although its not considered a food, it is a plant item chewed by many all over Asia, and kept in the mouth like chewing tobacco. (From a photographic gallery of street images, in Hungry Planet: What the World Eats, p. 131).